Juicy, tender lamb in less than an hour? You bet! 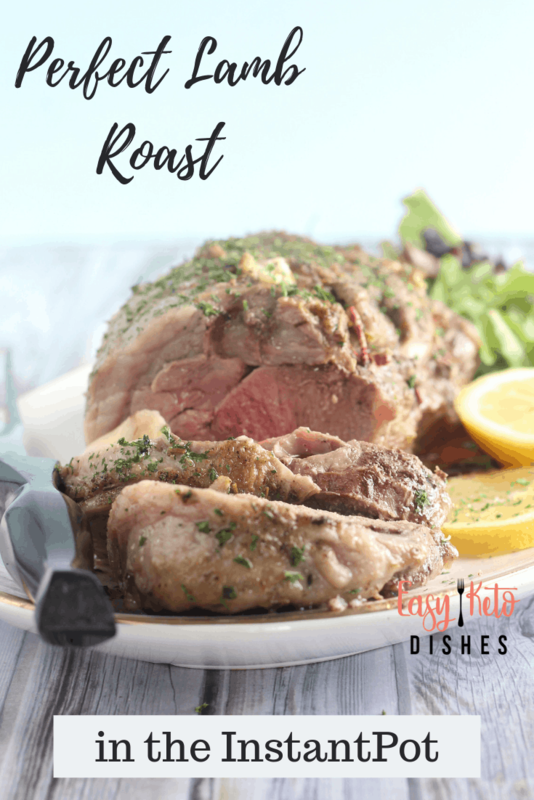 This perfect lamb roast in the instant pot is the ultimate, full of flavor, holiday meal! Lamb is a wonderful meat. 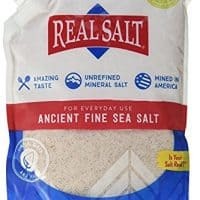 It has a great flavor, and can handle lots of garlic. That makes the Frenchman happy, when a food can take tons of garlic and yet still shine it’s own flavors. We love lamb for Passover, and it’s one of our main staples at that meal. 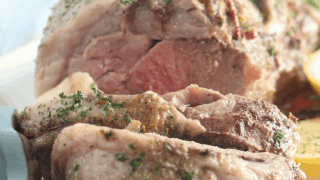 For some, lamb roast is more greasy and fatty than a beef roast, and that turns them off. However, knowing how to cook a lamb roast properly can give you such a love for it. Most lamb roasts are cooked low and slow in the oven, and that is yumminess on a platter. However, I wanted a way to cook it faster, yet make it just as moist and tender as oven roasting would be. 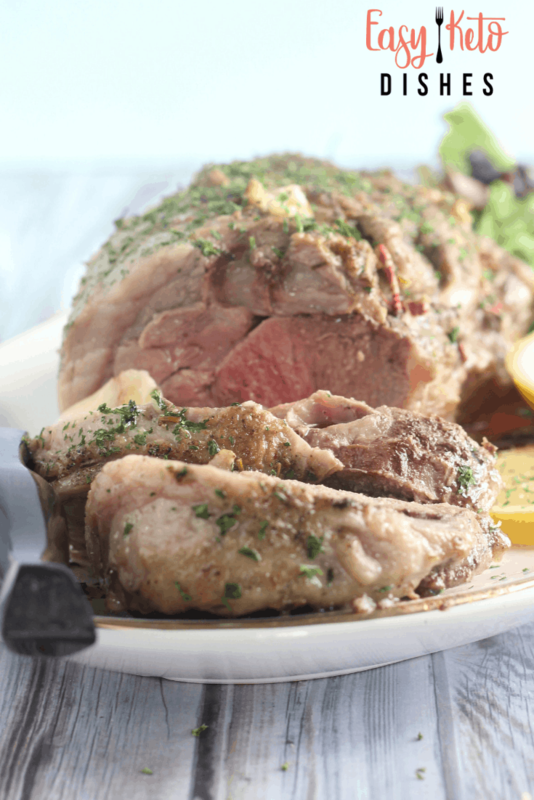 With the Instant Pot, a perfectly moist, juicy, lamb roast can be made in under an hour start to finish. I was fortunate enough to find a sale on lamb roast at our local grocery store the other day. I love clearance prices! This lamb roast was actually 1/2 off, and was less than $10 for the entire thing. Not a bad way to feed a hungry family great tasting meat, right? I grabbed it without even questioning it, as it was the ONLY one left. My oldest son was with me at the time, and he was drooling then, just thinking about the juicy meat. It was going to be goooood. 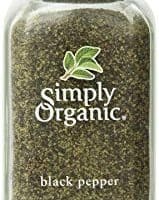 One of the “tricks” of cooking a perfect lamb roast is in the seasoning. Lamb needs a good seasoning mix to bring out it’s own natural flavors. Like I said before, it can handle strong flavors like loads of garlic. 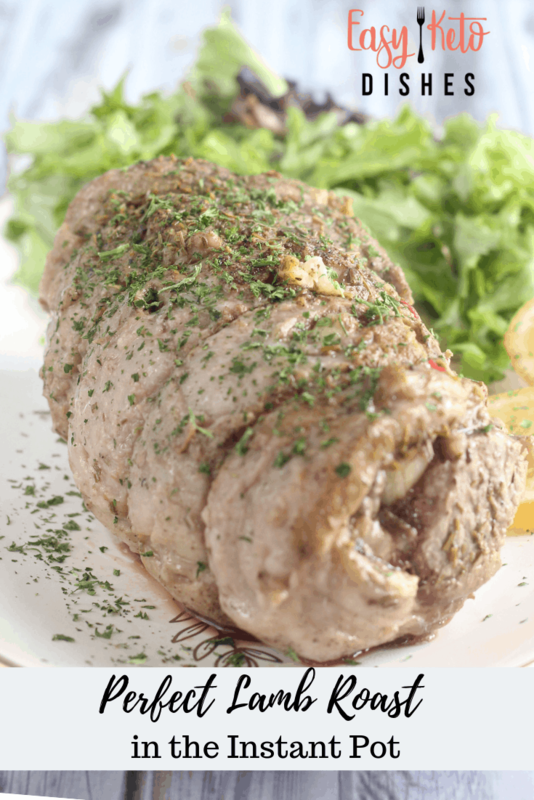 This lamb roast is seasoned with salt, pepper, garlic, and rosemary. 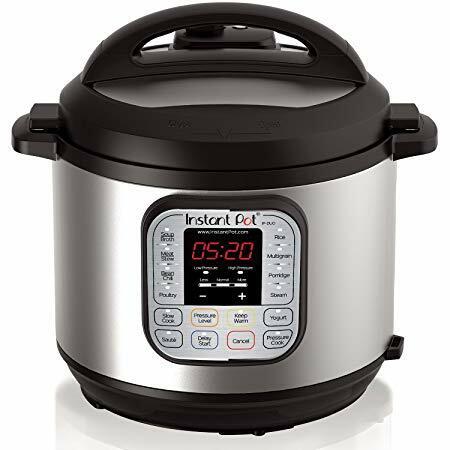 I love cooking foods in the Instant Pot, as it can go from searing the meat to pressure cooking it all in one pot. Nice and easy, and very little clean up. I used chicken broth with this lamb roast, but you can try beef or lamb broth if you have it. It needs a broth over water, for more flavor. I also used 10 cloves of garlic for a 2.5 pound roast. Add more or less to taste, if you would like. I certainly wouldn’t complain about more, to be honest. Just make sure to let the pressure on the Instant Pot naturally release to allow the meat to “relax”. Quick release with meat can make it more tough. If your family eats more carbs, simply add some roasted red potatoes on the side of this lamb roast. 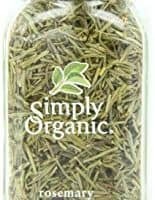 I love this with just salad, or some green veggies like broccoli, Brussels Sprouts, or even asparagus. 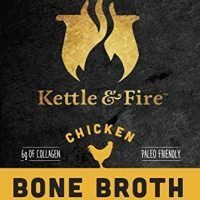 All delicious, and will help you keep your keto diet goals. Turn the Instant Pot on to sautee and allow to heat. When it shows “HOT”, add the oil. While Instant Pot is heating, carefully cut small slits all over the lamb roast. Press a garlic clove into each cut and push in. Cover the roast with the salt, pepper, and rosemary. Place fat side down first, and sear each side of the lamb roast 5 minutes. Remove from Instant Pot and add the trivet. Pour in broth, and add lamb roast back in, placing on trivet. Cover Instant Pot and make sure valve is set to “seal”. Push the button for manual, and set for 10 minutes per pound for medium rare. For bone in, allow for 15 minutes per pound for medium rare. Allow pressure to release naturally. Remove from Instant Pot, and allow to finish resting off the heat for an additional 5 minutes before slicing. What is your favorite holiday meal? 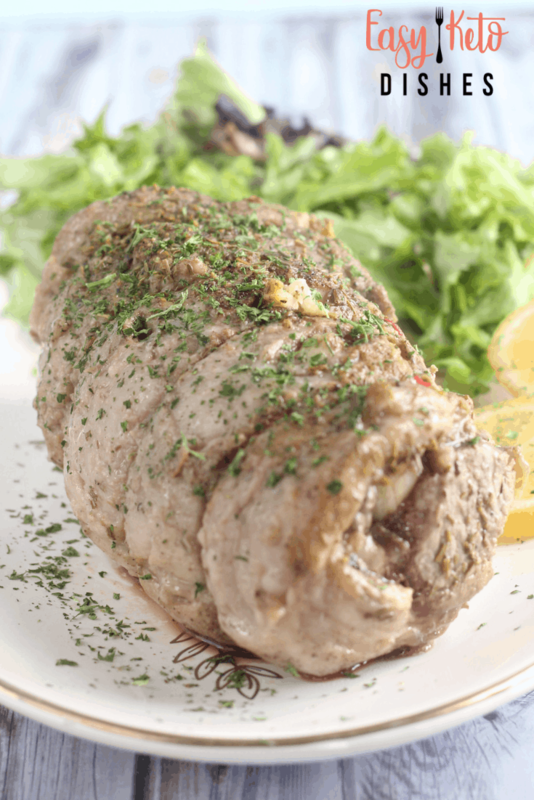 Will you try this lamb roast? Be sure to let me know what you think! Turn the Instant Pot on to sautee and allow to heat. When it shows "HOT", add the oil. Pour in broth, and add lamb roast back in, placing on trivet. Cover Instant Pot and make sure valve is set to "seal". While I do my best to make sure these numbers are accurate, please be your own best advocate and double check. This looks AMAZING!! We love lamb! Can’t wait to make. Pinned it!